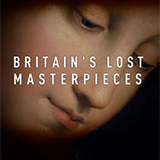 Britain's Lost Masterpieces is a TV show on British national television from BBC4 with an average rating of 3.3 stars by TelevisionCatchUp.co.uk's visitors. We have 10 episodes of Britain's Lost Masterpieces in our archive. The first episode of Britain's Lost Masterpieces was broadcast in November, 2018. Did you miss an episode of Britain's Lost Masterpieces but don't you wan't that to happen in the future? Please set an alarm and add Britain's Lost Masterpieces to your favourites, so we can remind you by email when there's a new episode available to watch. For free! October 11, 2017 of the TV-show Britain's Lost Masterpieces was broadcast by BBC4 on Tuesday 27 November 2018 at 23:00. August 29, 2018 of the TV-show Britain's Lost Masterpieces was broadcast by BBC4 on Wednesday 29 August 2018 at 21:00. August 22, 2018 of the TV-show Britain's Lost Masterpieces was broadcast by BBC4 on Wednesday 22 August 2018 at 21:00. August 15, 2018 of the TV-show Britain's Lost Masterpieces was broadcast by BBC4 on Wednesday 15 August 2018 at 21:00. October 18, 2017 of the TV-show Britain's Lost Masterpieces was broadcast by BBC4 on Wednesday 18 October 2017 at 21:00. October 4, 2017 of the TV-show Britain's Lost Masterpieces was broadcast by BBC4 on Wednesday 4 October 2017 at 21:00. Haddo House is one of Britain's most northerly stately homes. Tucked away in the wilds of Aberdeenshire, it has been home to prime ministers and earls - but is it also home to some of Scotland's greatest lost paintings?